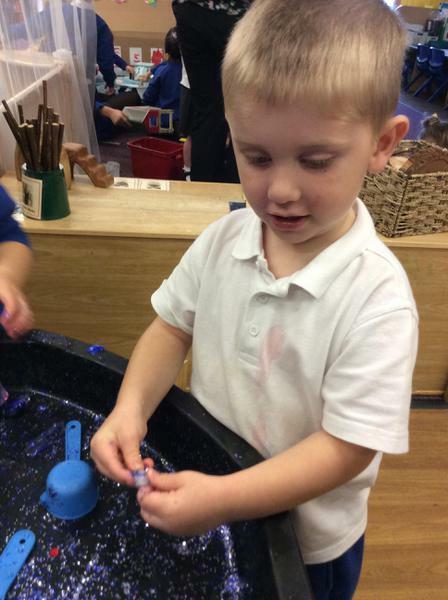 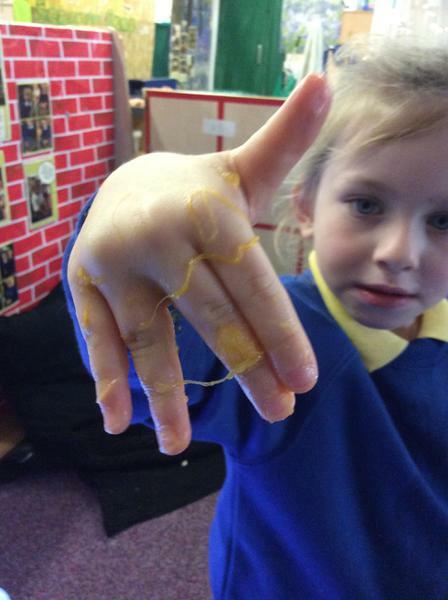 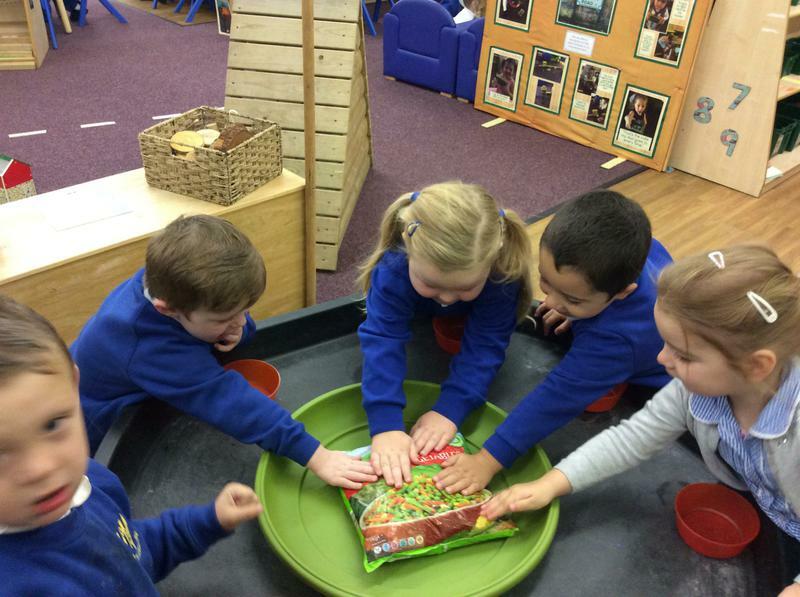 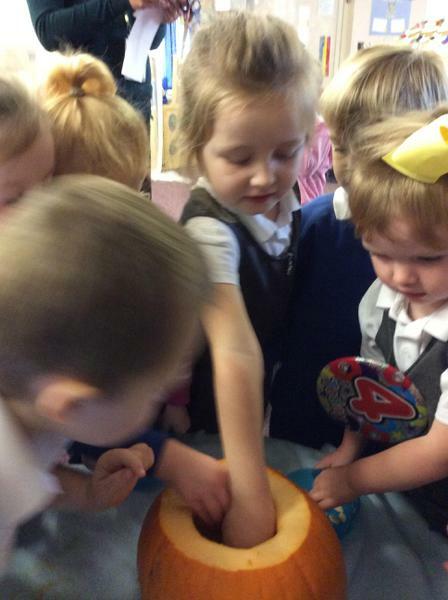 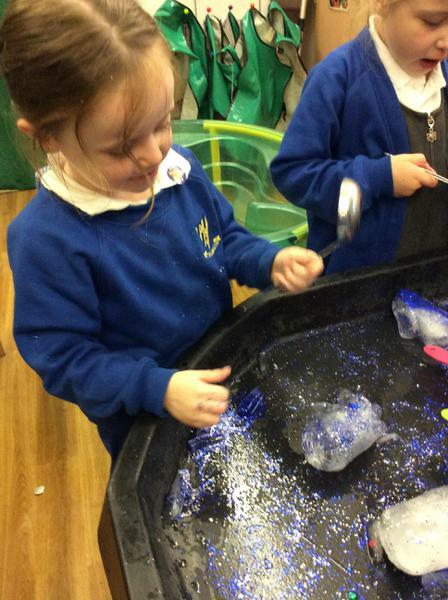 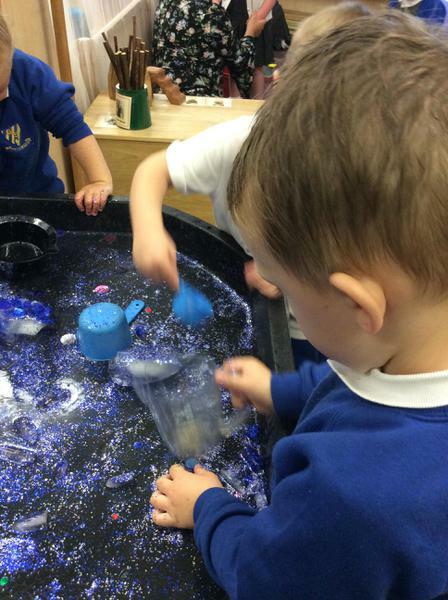 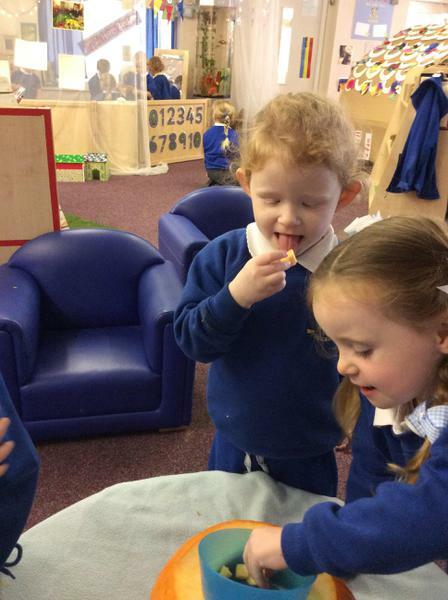 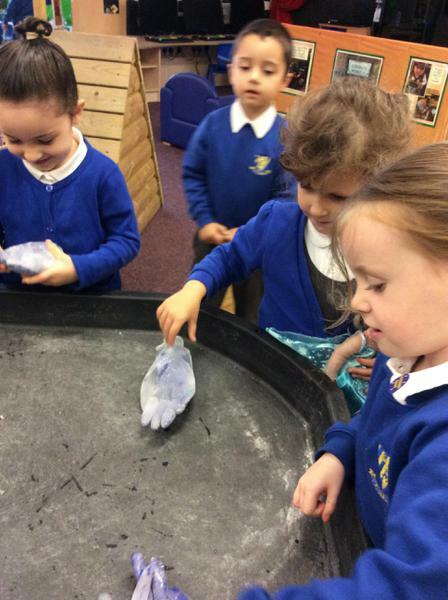 We have enjoyed sharing and taking turns to explore different objects. 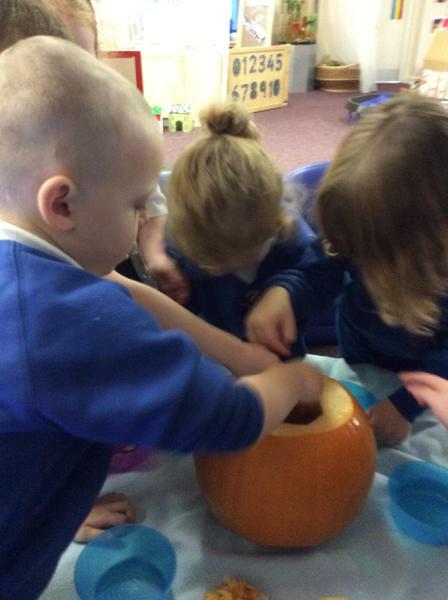 We discussed the texture of what the frozen gloves and the pumpkin felt like. 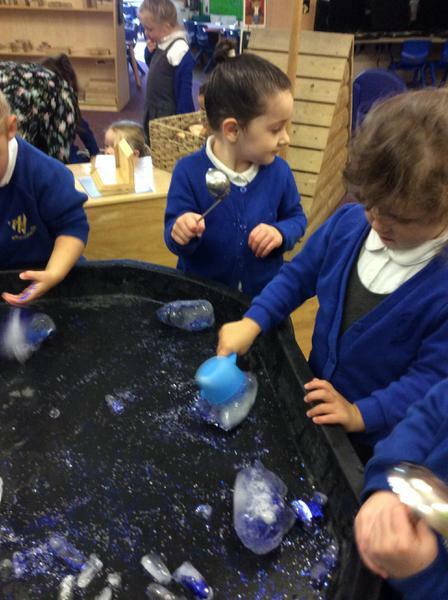 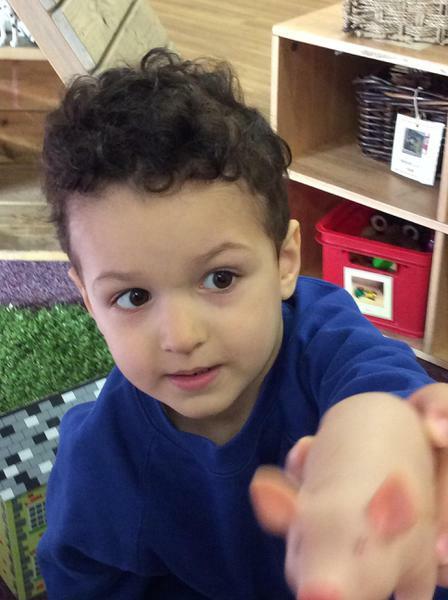 The children took turns to listen to one another and enjoy the experience.